The show needs your help. It doesn’t just happen – a lot of people jump in to make it happen. But the reward for helping to make it happen is free entry. If you’re into pinball and you’ve ever thought about volunteering for anything, this is the place to do it. Not only will you help the show, you’ll meet tons of great people from the local pinball groups. 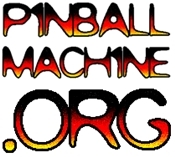 Make new friends, talk pinball, and contribute to making pinball GO! That’s what Pin a GO GO is all about! Once you get involved, you’re part of the team. Brad Grant provides all the info below. The 17th Annual Pin-a-Go-Go Pinball Show is right around the corner! We’d like to know if you’d be willing to help us out this year? The show benefits the Dixon Teen Center and Boys and Girls Club of Vacaville and of course is once again being held at the Dixon Fairgrounds in Dixon! The dates: May 17-19. We’ve got lots of jobs to fill to make this the best show ever. We are planning on expanded tournaments, we have more space, more vendors and lots of games this year which means we need more help! And then of course we still need a few eager bodies on Monday morning, May 20. We can’t do the show without the hard-working load-in and load-out crews, so you all will be treated like royalty, get a weekend pass and lots of PINBALL KARMA! We also have lots of fun jobs open during the show for door, raffle, security, pinball techs, etc. 3.25 hours gets you a free pass that same day and makes you feel good inside!